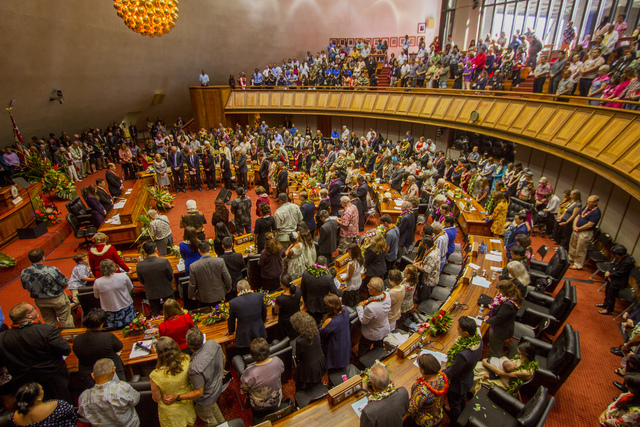 On this page, you will find resources on navigating the Hawaiʻi State Legislature this 2017 legislative session. 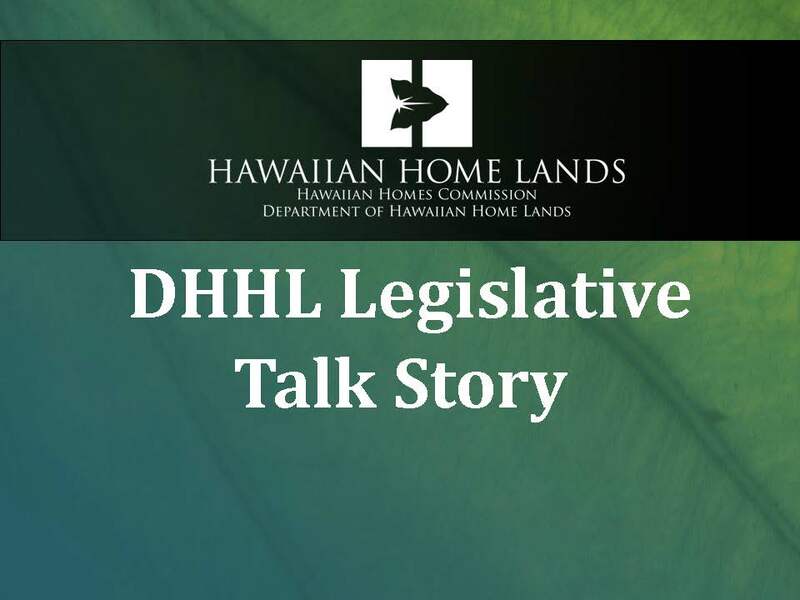 Get a primer on the legislative process at one of our Legislative Talk Story Sessions, find the lawmakers who represent you in your district, and track legislation related to the Department of Hawaiian Home Lands. Everything you need to know to get involved and stay engaged on legislative matters that impact beneficiaries and the Hawaiian Home Lands Trust can be found here. If you are interested in a workshop for your community, feel free to contact Lehua Kinilau-Cano, HHL Legislative Analyst at [email protected] or (808) 620-9486. Given the fast pace of the legislative session, updates will be posted at DHHL’s website at dhhl.hawaii.gov/legislation or via social media. Additionally, webinars or conference calls twice a month during the legislative session are being planned to begin in early February. Status: (3/29/2017) The measure PASSED with amendments out of the Senate Committee on Ways and Means (WAM). The votes were as follows – 10 Aye(s): Senator(s) Tokuda, Dela Cruz, Galuteria, Harimoto, Inouye, K. Kahele, Riviere, Shimabukuro, Taniguchi, Wakai; Aye(s) with reservations: none ; 0 No(es): none; and 1 Excused: Senator(s) English. Click here to review testimony heard prior to the WAM vote. More details on the evolving Budget Bill on our DHHL Budget page. Status: (As of 04/04/2017) The bill PASSED with amendments out of the Senate Committee on Judiciary and Labor (JDL). The votes were as follows – 4 Aye(s): Senator(s) Keith-Agaran, K. Rhoads, Kim; Aye(s) with reservations: Senator(s) L. Thielen ; 0 No(es): none; and 1 Excused: Senator(s) Gabbard. Click here to review testimony that was submitted before the JDL vote.